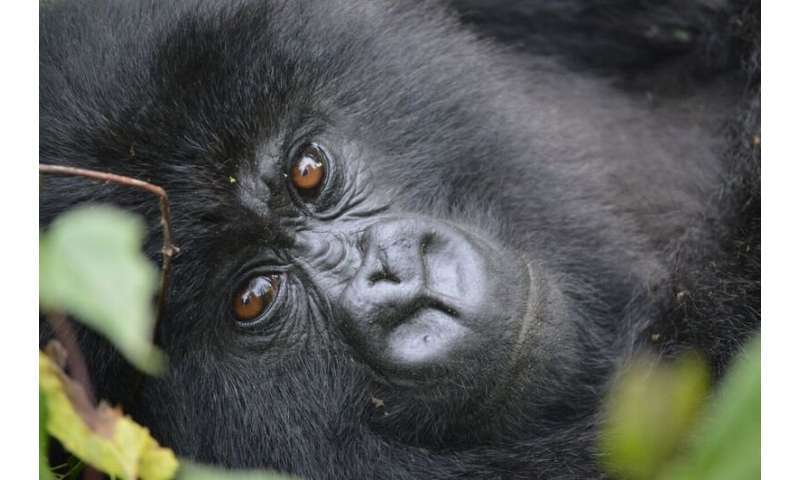 A study by researchers from The University of Western Australia has found that the behaviour between groups of African mountain gorillas is very much influenced by the strong, life-long bonds they form with members of their group. Published in Animal Behaviour, the research also found that conflict is far more likely to involve alpha male gorillas who are the leaders and protectors of their group. The researchers observed interactions between 10 groups of mountain gorillas in Rwanda over a one-year period and combined their observations with data collected by the Karisoke Research Center (Dian Fossey Gorilla Fund International) between 2003 and 2015. They found male gorillas engaged in aggressive fights to protect the members in their group. However, the bonds formed between former group members living in different groups dramatically reduced hostility upon reunion, and sometimes promoted gorillas to exchange affiliative behaviours, such as playing and grooming. Lead researcher Dr. Melanie Mirville, from UWA's School of Anatomy, Physiology and Human Biology, said the bonds formed between gorillas were so strong that interactions between these particular groups were usually peaceful, even after years of separation. "What's interesting is people often have the perception that gorilla behaviour is very much influenced by competition for females or over a food source, but there's also a good proportion of behaviour that is peaceful as a result of long-lasting social relationships," Dr. Mirville said. Dr. Mirville said the research showed similarities to social interaction in humans. "As humans we are friendlier if we bump into someone we know in comparison to people we don't know or trust," she said. "We also have an ongoing history of conflict and war, alliances and peace-making. "By understanding the intergroup behaviours of primates in response to their existing social history, we can better understand the complex origins of our own remarkable social behaviour, including hostility to people or groups we are not familiar with." 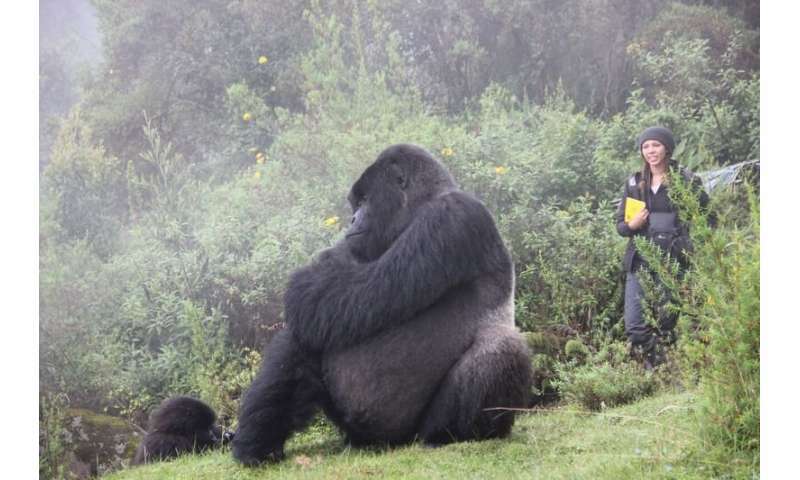 Dr. Mirville said during her research she was never nervous about working with mountain gorillas. "The gorillas studied have been observed by researchers from their day of birth so they didn't see us as a threat," she said. "You still want to keep a good distance from the group though; the alpha males can grow up to around 200kg and can be very protective."